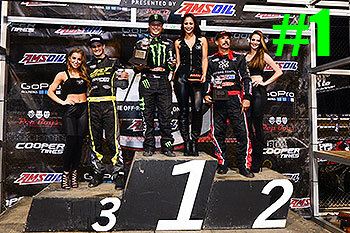 History Maker, CJ Goes 4 for 4, Wins in Both Pro-2 and Pro-4. 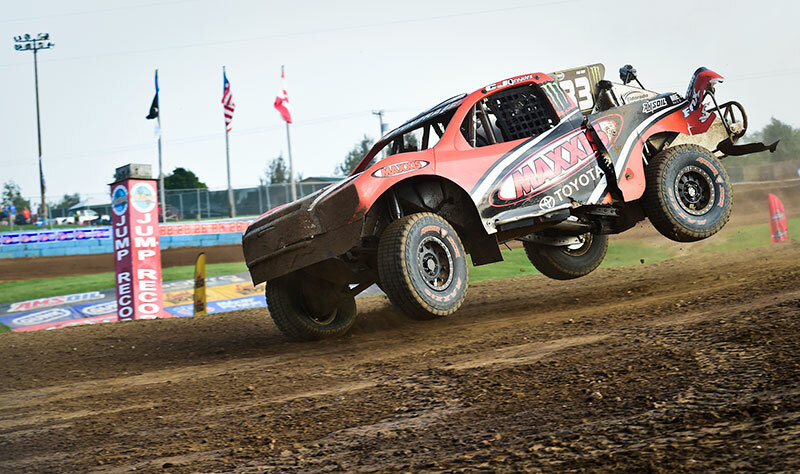 Greaves Motorsports took on the Route 66 Raceway at Chicagoland this past Thursday and Friday in epic form. 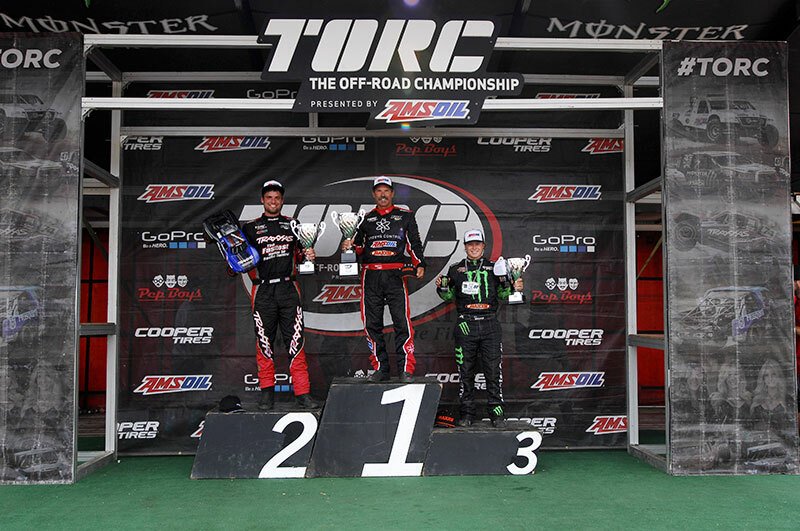 The TORC Series rounds 5 and 6 proved to be thrilling for CJ but not so great for Johnny. 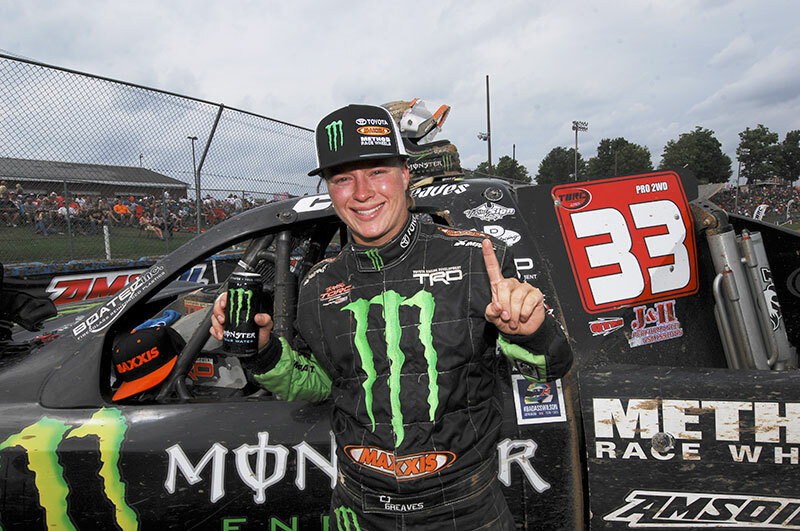 CJ Greaves continues to etch his name in the off-road racing history books by winning both Pro-2 and Pro-4 races in the same weekend. 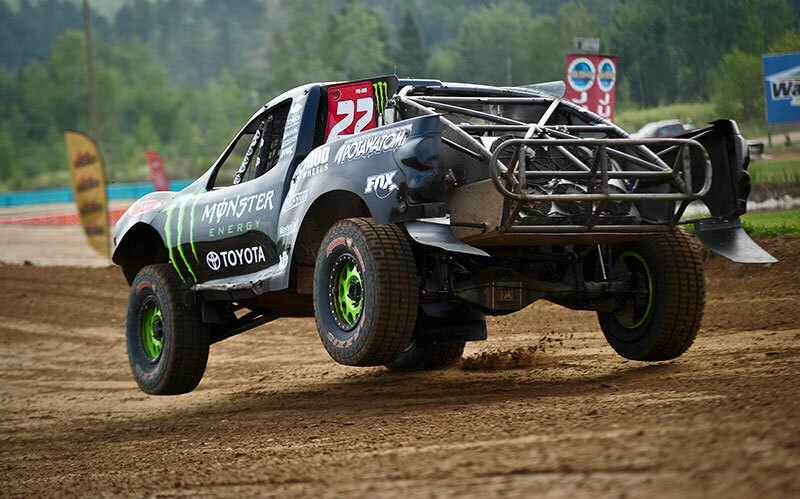 When the dust settled, the younger Greaves went 4-for-4 while Johnny experienced mechanical problems in the first race and a late spin in the second race. 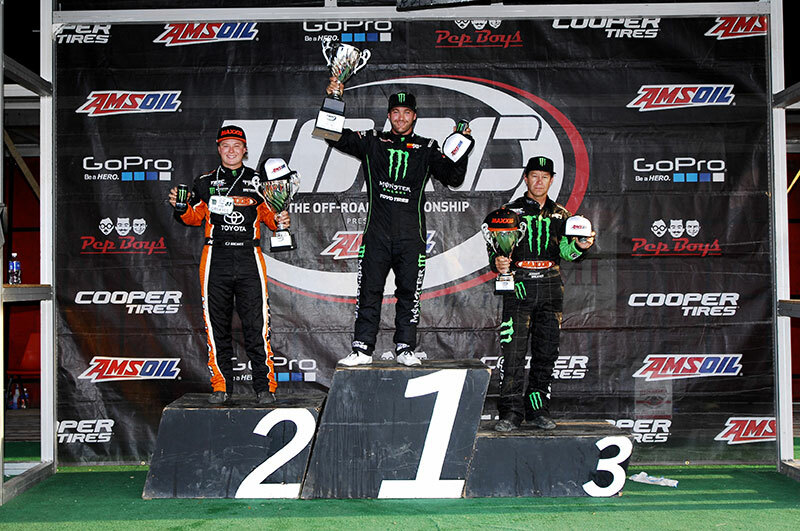 Johnny was strong though–he led most of the first half of the Pro-4 race on Thursday and Friday night. 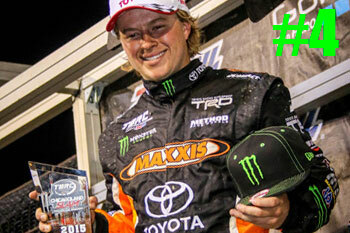 CJ Greaves was up first in his Monster Energy/Maxxis Tire Toyota for the rare Thursday night races. 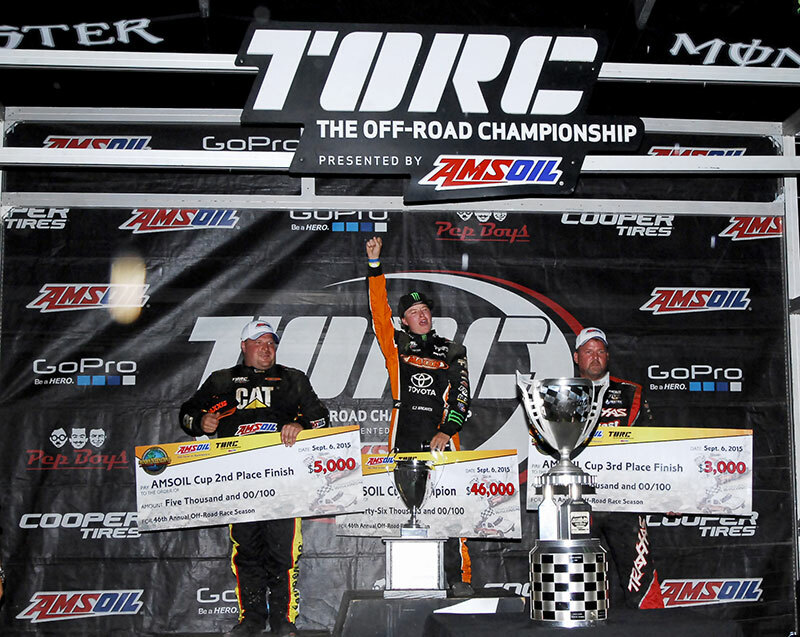 He started on the pole and led from wire-to-wire. A brief battle in the first half of the race with Keegan Kincaid was the biggest threat CJ had. After competition caution, he checked out to a more than 5 second lead over Marty Hart and Doug Mittage. 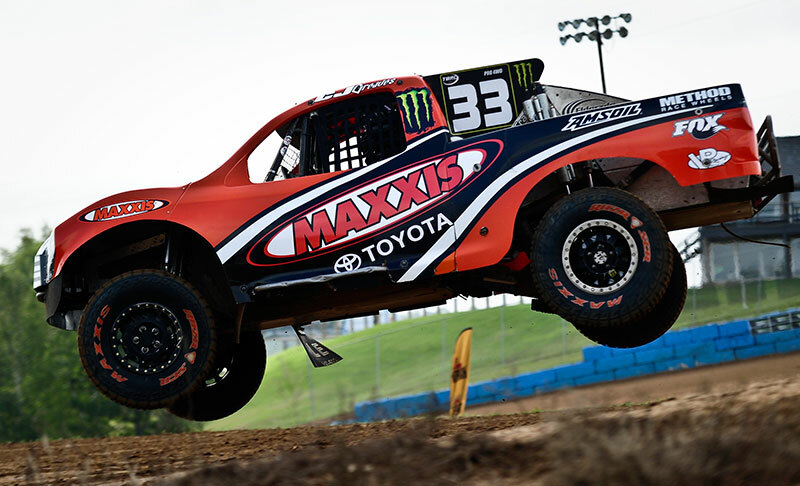 CJ made the quick turnaround and climbed into his Maxxis Tire/Monster Energy Pro-4 Toyota fell in line behind his dad, Johnny Greaves, who started on the front row in his Monster Energy/Maxxis Tire Toyota. Johnny got a great start and jumped out to an early lead. CJ made a smooth inside move on the infield turn to take over 2nd place. CJ and Johnny battled in a classic father/son duel with CJ finally making the pass for the lead. It was almost as if CJ could read his mind by making a double inside-out move. 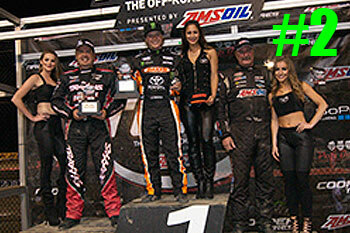 The two battled but CJ held the lead as they both took the competition caution at the midway point of the 16 lap race. CJ and Johnny were up front followed by Douglas and Hord. 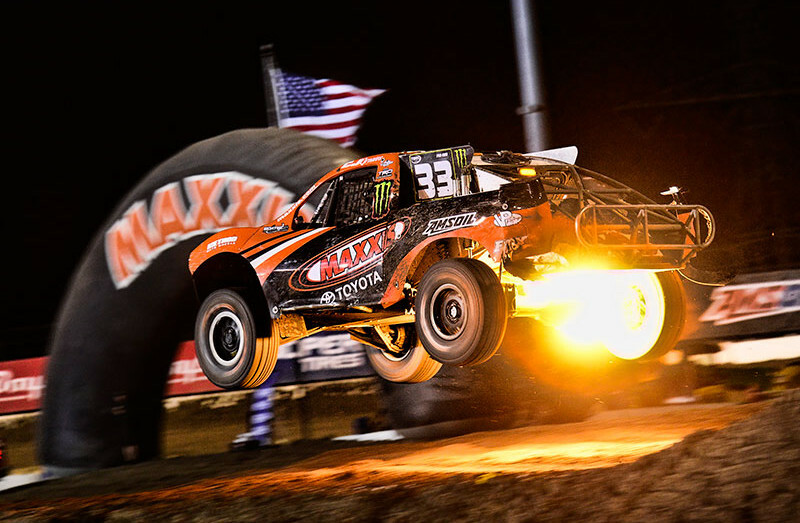 On the restart, CJ got a great jump. 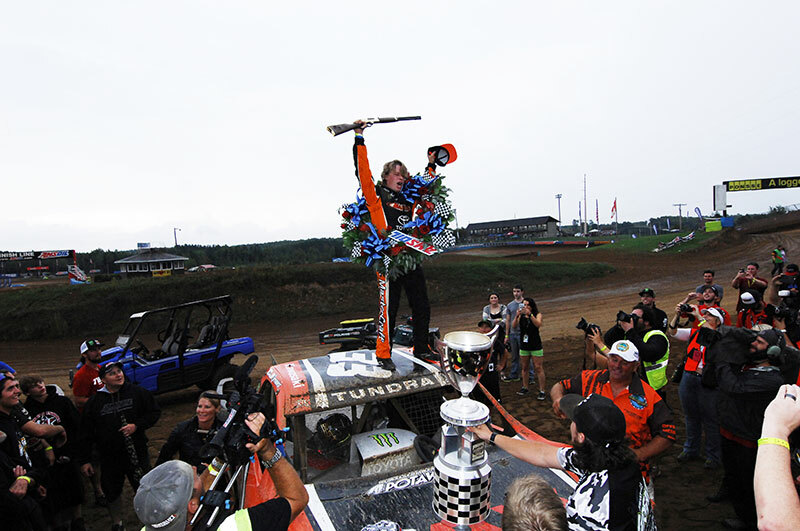 Johnny, Chad Hord and Scott Douglas got together in a skirmish sending Douglas off the track. Meanwhile, a driver took out the start/finish line sign bringing out a full course caution and stoppage of the race. Both Johnny and Douglas entered the hot pit for repairs, Johnny with a broken right front shock and Douglas with a flat tire. Following the restart, it was all CJ. 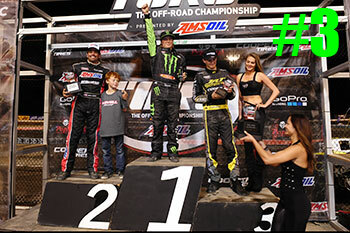 He cruised to his 2nd Pro-4 win and 2nd win of the night. Friday’s races were a repeat of Thursday’s. In Pro-2, the top 3, made up of Hart, Lovell and Greaves, pulled quickly away from the rest of the field. CJ showed patience and stayed clean up to the competition caution. 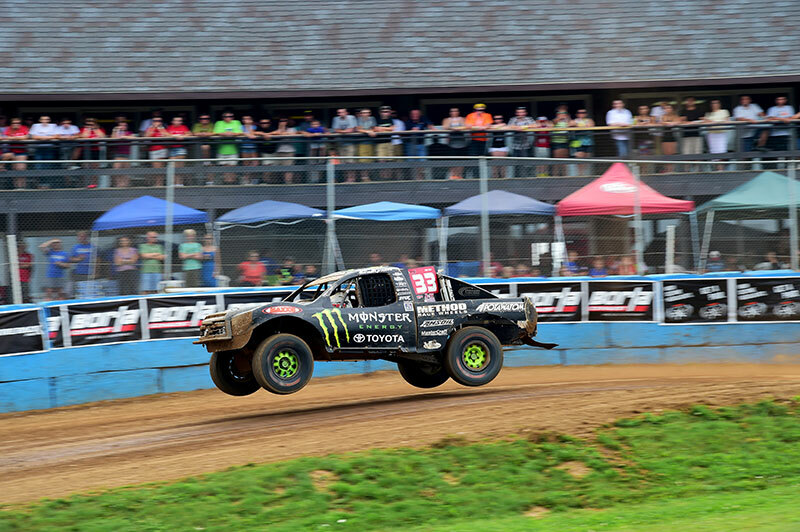 On the restart he got a great jump and went around Lovell for 2nd. With about 6 laps to go, Arie Luyendyk rolled over on his side bringing out the full course caution. When racing resumed, CJ worked hard to get around the front running Marty Hart. 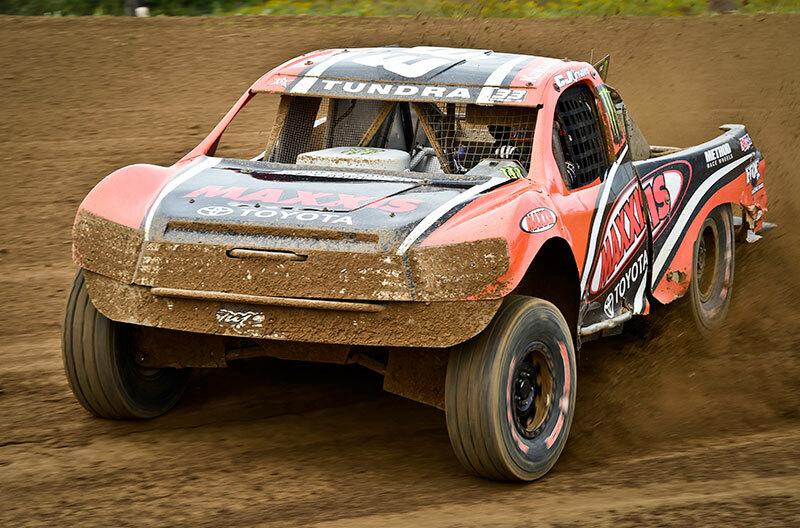 With 2 laps to go, Hart’s steering system broke allowing CJ to take the lead and the win with no other truck in sight. 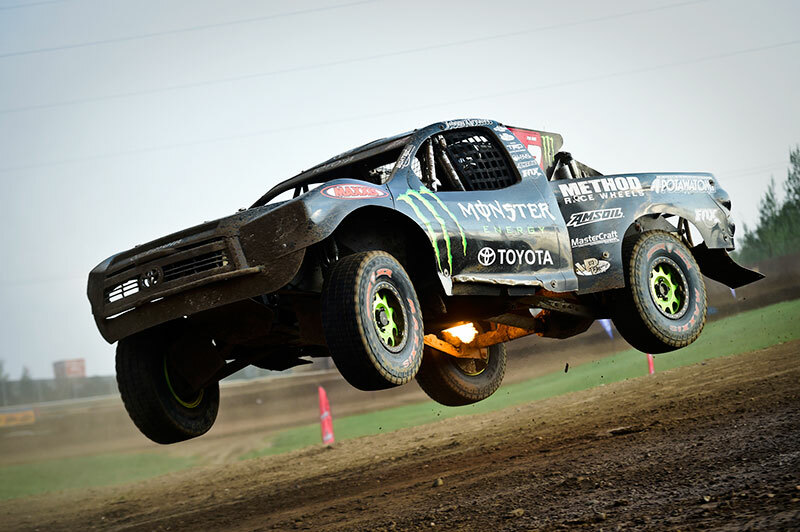 Johnny and CJ started the Pro-4 race from row 3 with the 6 truck inversion thanks to a new TORC rule. 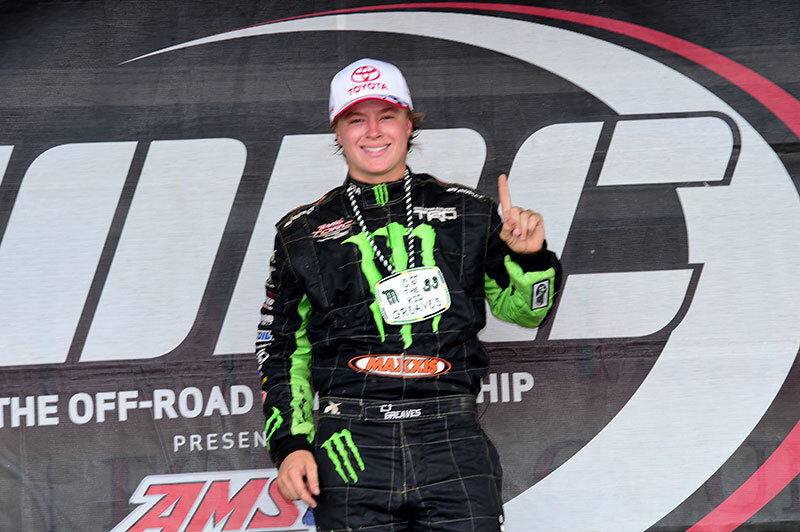 Johnny was able to move into second when a logjam of trucks created a passing opportunity for him. A full course caution came out and top contenders, Chad Hord and Scott Douglas went to the hot pits with mechanical issues. Mike Jenkins, Johnny Greaves, CJ Greaves and Adrian Cenni was the running order on the restart. Johnny made quick work of Mike Jenkins for the lead. Jenkins tried everything he could but he could not hold-off the hard charging CJ Greaves. CJ made another beautiful inside-out move to get around Jenkins. CJ set his eyes on Johnny and gets close just as the competition caution flag waved. When the green flag flew, CJ began to try to get around Johnny which he was finally able to do in the rhythm section. Johnny worked hard to hold off Mike Jenkins for the second position. The two went door-to-door, making contact. Johnny held the lead but with only a few laps remaining, he caught a rut and spun out. 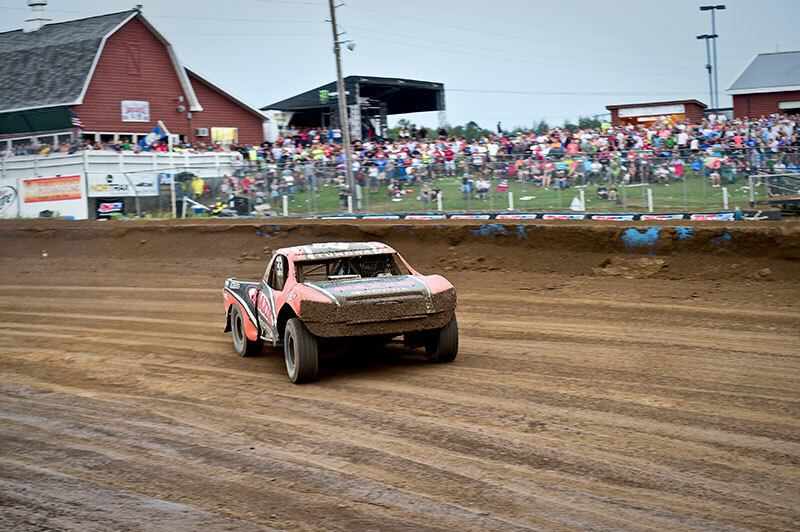 The nose of his truck rested against the k-rail causing him to wait for the entire field to go by. He made up a lot of ground but ran out of laps and had to settle for a 4th place finish. 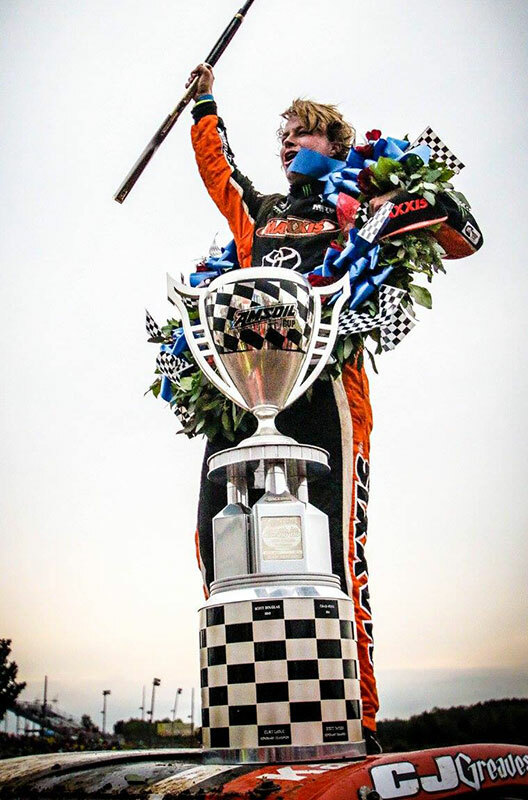 CJ on the other hand completed the 4 race sweep with his history making weekend. 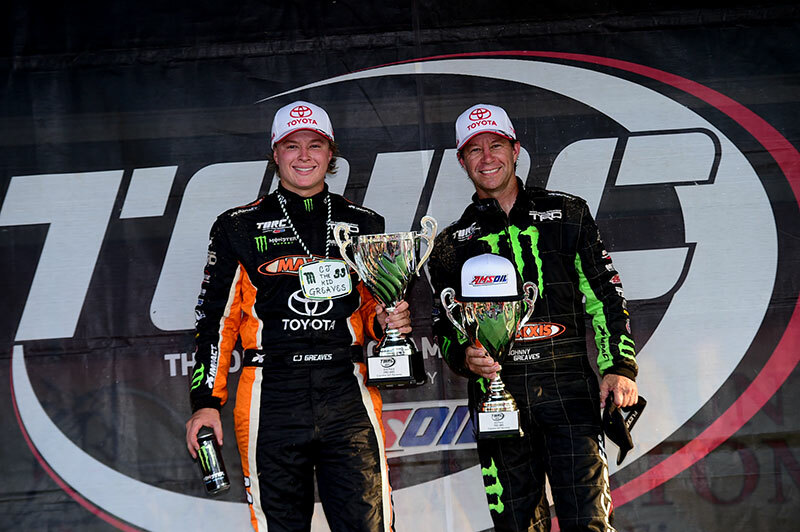 First Johnny and CJ were the first father/son duo to go 1 and 2 in a cup race, then they were the only drivers to win in all three pro classes, and now CJ is the first to have wins both Pro-2 and Pro-4 races in the same weekend. 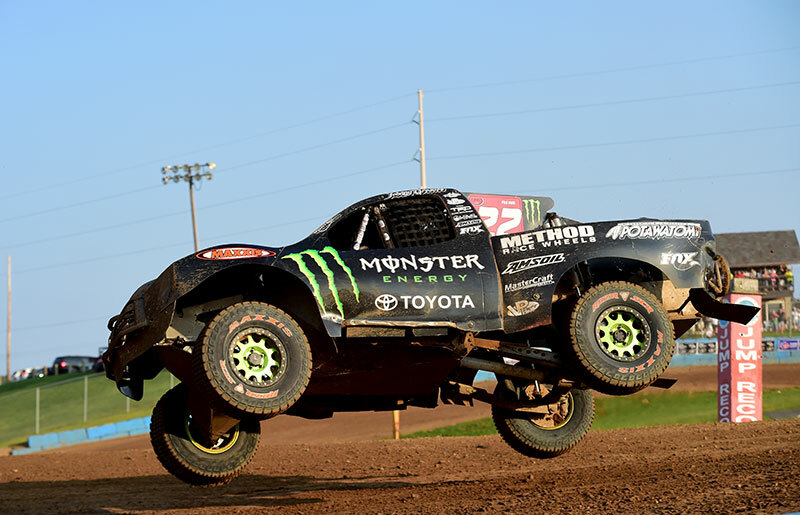 Next on the TORC schedule is the highly anticipated races in Crandon, Wisconsin. 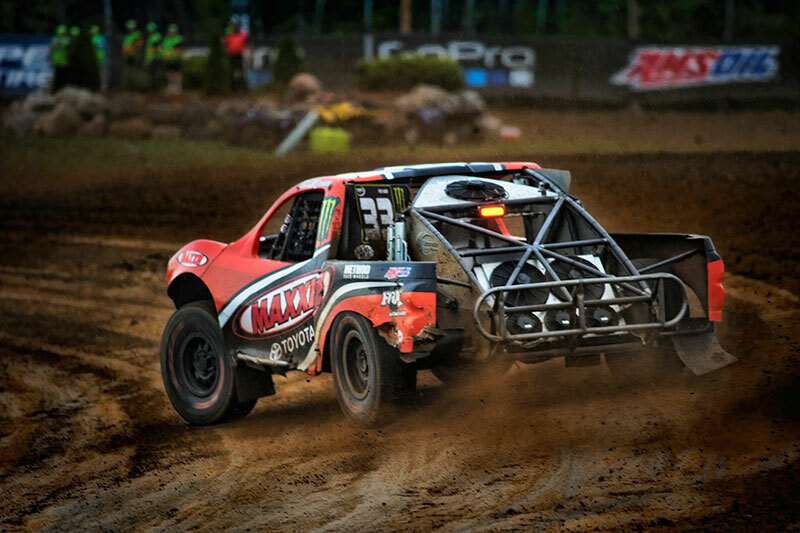 The Big House Brawl will take place on June 27-18th at Crandon International Off-Road Raceway.